A truly inspirational songwriter, musician and producer, for so long the driving force behind The Tansads, John found his creative energies once again ignited at their reunion concerts. Having served the musical aspirations of others for so long at his own Jaraf House Studio, MERRY HELL has provided a necessary outlet for his own brand of melodic magic and lyrical wryness which will certainly continue to enrapture audiences. Already a well-respected singer-songwriter in her own right, with two solo albums under her belt, Virginia adds an essential dimension to the band, both vocally and creatively. 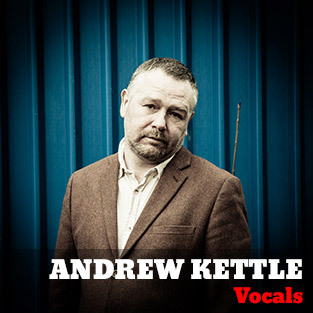 Having contributed some of the most distinctive songs to the forthcoming MERRY HELL album, including the title track, ‘BLINK… and you miss it’, she has also provided the perfect pure-toned vocal foil to Andrew’s gravelled delivery. This wonderfully talented all-round artist also plays acoustic guitar, dulcimer and, if that wasn’t enough, biscuit tin! Possessed of a voice full of character, just as much at home belting out folk/rock anthems as caressing a capella show-stoppers, he has transferred his authentic and charismatic stage presence, developed through four Tansads albums and countless tours, to become a focal point for MERRY HELL. 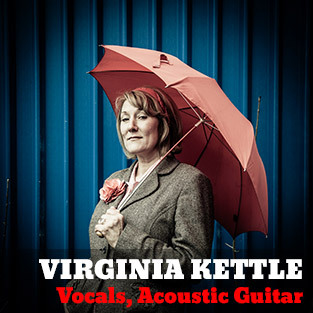 Currently delighting in the developing vocal interplay with Virginia, he is ready to stamp his rightful mark in the register of distinguished British folk/rock vocalists. A wordsmith of the highest order, along with an onstage presence that encapsulates the energy, joy and sense of purpose that sets this band apart, Bob is in many ways the dynamic, beating heart of MERRY HELL. 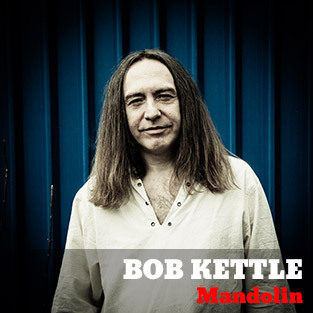 Besides contributing songs destined to be recognised as classics within and beyond the folk/rock genre, his enthusiasm for making music remains as strong today as it ever did through his four album career with the Tansads, providing an inspirational presence that is recognised and reflected by MERRY HELL fans wherever they may be. 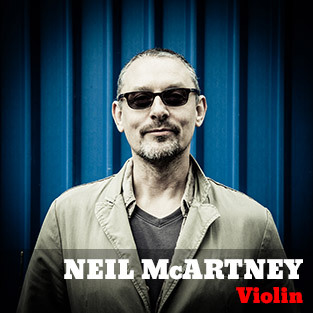 Neil, best known as a fiddle player, is a long term associate of several Merry Hell members and has lived and made music in London, Galway, Dublin, New York and Thailand. He formed Big Geraniums, who enjoyed success on the global festival circuit, playing alongside the likes of The Wailers, Van Morrison and Bob Dylan.  It was probably inevitable that Andy would end up playing in Merry Hell as he has a long history with several band members. Originally he played in Virginia's first band, Hank and the Wolf, spending a year touring France and Spain in a beat up van, finally returning with little to show but a thousand stories to tell. 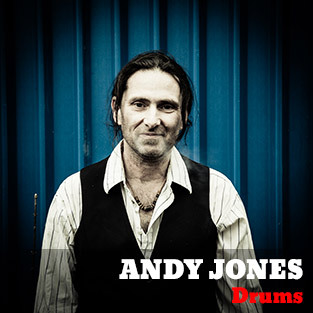 Several years later he became the final drummer for The Tansads, appearing on the Reason To Be album and touring widely in the UK and France. Since the Tansads finally split and before joining Merry Hell he played with a number of groups around the Chester area, including one called Volunteers but not the same Volunteers that John was a member of. It was during this time that he managed to introduce John to Virgina. The rest, as they say, is history. Other than drumming and dressing as Cap'n Jack Sparrow, Andy's other pastime is getting high, as he is a keen mountaineer. 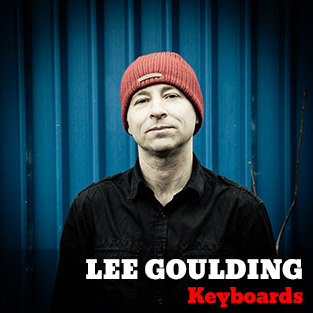 An excellently artful and technically gifted keyboards player, although, to some degree an, as yet, unsung talent within the band, Lee is the best unknown songwriter in MERRY HELL. 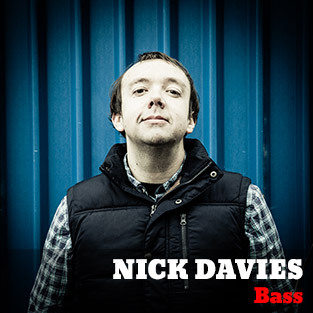 He has contributed music to the soundtracks of popular programmes such as Buffy The Vampire Slayer and Roswell High and has also played keyboards on Tansads’ albums ‘Flock’ and ‘Drag Down The Moon’. 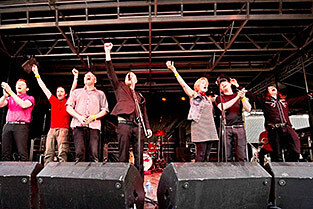 Having enjoyed the reunion so much, Lee was welcomed as an integral part of the MERRY HELL machine. 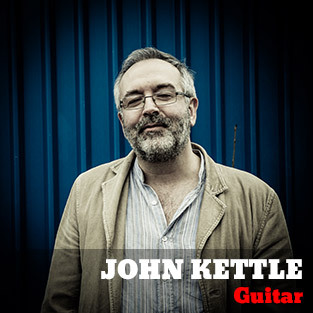 He has already contributed the song, ‘The Gentle Man’, to the new project; other offerings are eagerly awaited from this marvellously talented all-round musician.